Listen the talking from a note which includes the two parts. One Note includes two parts. Each part could be different content and the different language. The user could input the international words by paste or typing with the soft keyboard. 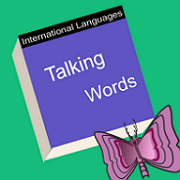 From the setting form, the user could select the talking speed, the talking volume, the repeat times of talking each word and the repeat times of talking words list. Any language could speak English. 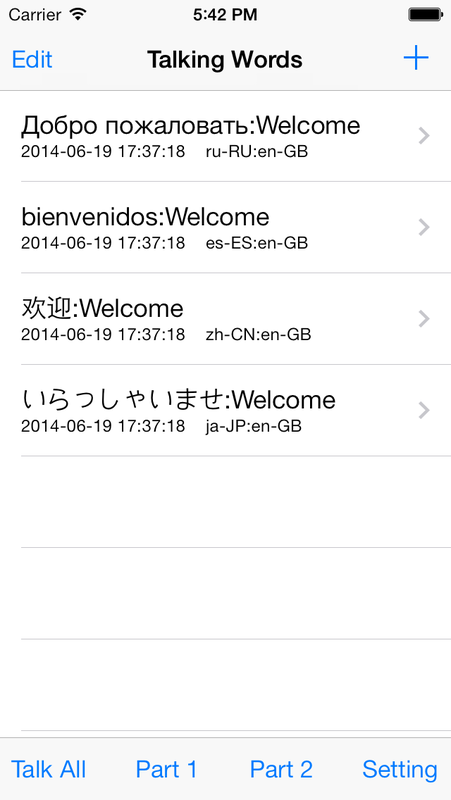 If the user input the English and select the Japanese as the language, the app will talk with the Japanese English. If we are studying the two different languages, we could input the two parts for two languages and compare the talking of the two parts. The App is helpful to the international students who are trying to study the foreign language. In the main list view, when we tap the Talk All button, all the words in the list will be talked repeated. If we long press the single table cell, the selected word will be talked repeatedly. In the main list view, tap the talk all button, repeat talking all of the words one by one. In the main list view, long press the single table cell, talking this cell words repeatedly. Listen the talking of pair of words, compare the talking between two words. Select the different languages from more than twenty languages. Set the talking volume and the talking speed from setting view. When we tap the talk all button, the next button and the prev button will be display, so we could skip the talking words. FAQ 1: Could we input the sentence in the Part 1 or Part 2? Yes, we could input the content more than one word. If we input the longer sentence, we could use the landscape view, then the text field will be longer, so we could input the longer content easily. FAQ 2: Why does the App talk nothing when i tap the talk button in the single view? If we input the content which is not English, we should select the language for the content. For example, if our content is one of Asian languages, and the selected language is still English. 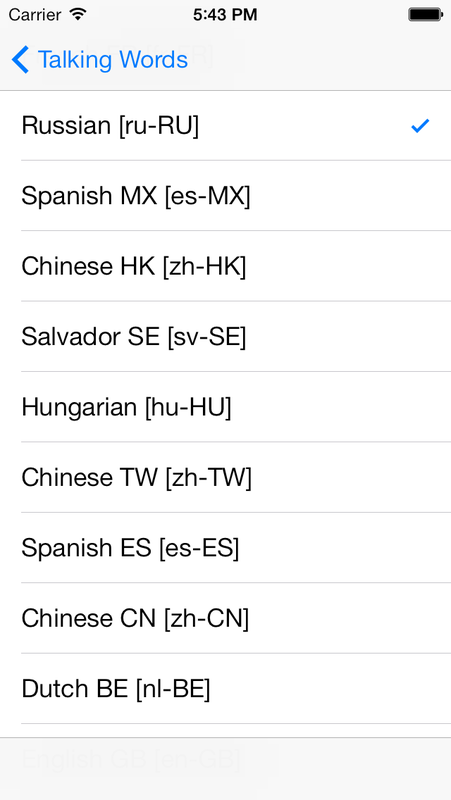 Then the App will not talk the Asian languages in English. FAQ 3: How do we let the App talk in the background status? In the main view, if we tap the Talk All button, the App will talk each note one by one and repeat talking. At this time, if we press the home key or lock the device, the App will be in the background status and its talking will be continued. FAQ 4 : Why some times the App cannot talk in the background status? If we follow the instruction in the FAQ 3, and the App cannot talk in the background status, the reason is no talking when we tap the home key. Because when the App talk the first words, then it will stop and continue to talk next word, if we press the home key and the App just stop talking and prepare to talk next word, then the iOS do not think the App need the background talking. FAQ 5: How to repeat talking one note? Long press the single table cell in the main list view, then the related note will be talked repeatedly.